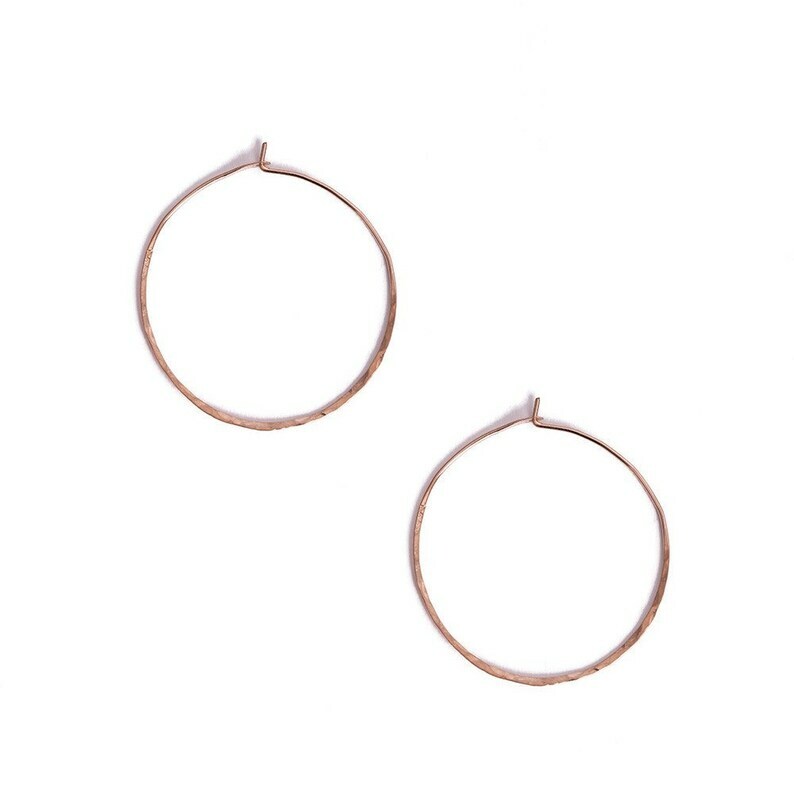 Hammered 14k rose gold filled hoop earrings. Beautiful and Gorgeous hoop will last a lifetime. I'm sure you'll want to wear them for at least that long! It's Handmade and hand hammered rose gold earrings.